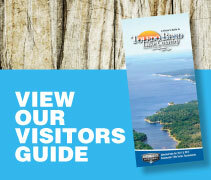 The Zwolle Tamale Fiesta is a celebration of this areas Spanish and Native American Heritage. The three-day event is held in Zwolle each year the second weekend in October. 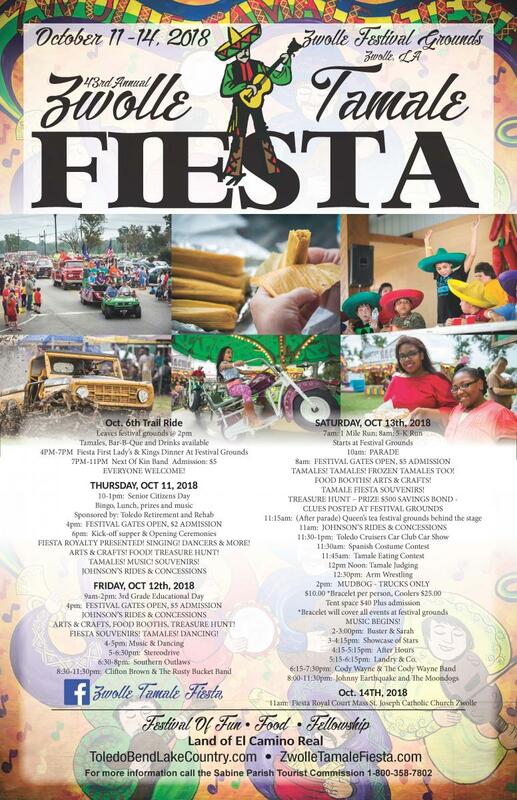 Among events planned during the Fiesta are a tamale making demonstration, tamale eating and tamale judging contest, treasure hunt, street dance, arts & crafts, and a parade. 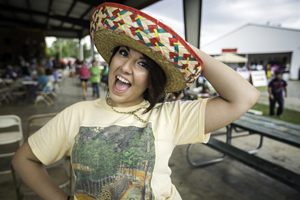 The Fiesta also features pageants, arm wrestling contests for all ages, a trail ride, Spanish costume contests, rides and food booths, a very popular Fiesta Mud Bog Race for trucks, and over 20,000 dozen tamales for sale. The Fiesta is held at the Zwolle Tamale Fiesta Grounds in Zwolle.